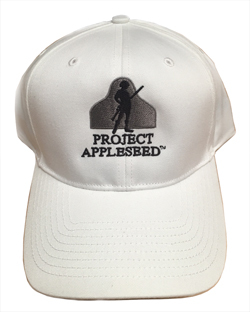 Project Appleseed black unstructured hat. 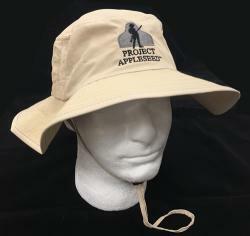 Stylish Manta Ray khaki Boonie Hat with Project Appleseed logo embroidered on front in gray and black. Triple Vented side inserts. Draw cord for secure and adjustable fit. 3” wide brim.